Flea and Tick Control Kit contains professional quality flea and tick control products, everything you need to treat your house and lawn just like a pro! 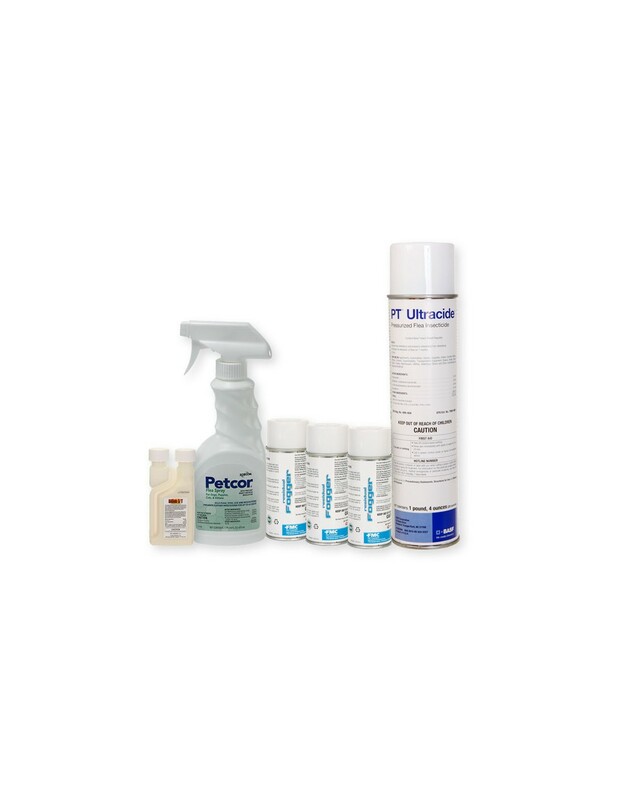 This easy to use Flea and Tick Control Kit is fully customizable with or without sprayer and extra cans of Ultracide Aerosol Flea Spray. This kit contains the exact products that professionals use to control fleas and ticks inside, outside and on animal. These products are not available in any hardware store or veterinary clinic. This kit contains enough products to treat the average 2,000 foot home 2 times. Residual foggers are for initial application only. Each can of Ultracide will treat approximately 2600 sq. ft. of carpet and floors. Bifen IT contains enough to treat the average yard 2 times. 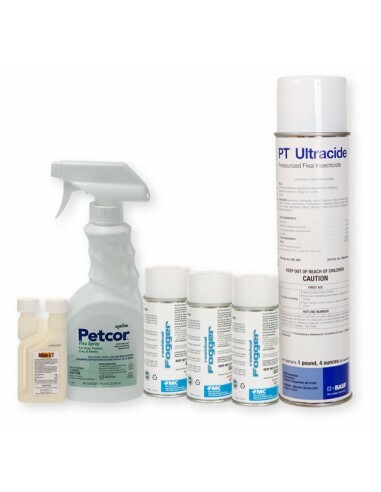 Petcor contains enough product to treat 8 average size animals. Purchase more Ultracide, more Bifen IT and more Petcor if needed. Hand Pump sprayer needed to apply Bifen IT (Available with the EXTRA kit). NY, SC, & MA Residents: Bifen is not legal for sale in your state. You will be shipped (1) 16 oz SEVIN Concentrate Bug Killer for outdoor and lawn use.